Wow, pero con inconvenientes menores. Con la versión Pro de la serie Mate 10, tenemos en análisis el smartphone más potente de Huawei. Han mejorado el almacenamiento y la cámara, y el teléfono chino ahora trae una pantalla OLED en formato 2:1. Lo complementa con el Kirin 970, un SoC con una NPU adicional. Suena genial, pero Huawei ha hecho recortes en ciertos sitios. Al final del día, el Mate 10 Pro es el teléfono ideal para quien prioriza dos cosas: una excelente cámara de fotos, y batería. En estos dos puntos, el Mate 10 Pro se corona como campeón de su categoría, ofreciendo la mejor cámara que he probado en Android, junto con una batería que simplemente se rehúsa a morir el primer día. Esto, combinado con un teléfono más compacto pero con una mejor pantalla que la del Mate 9 del año pasado, un procesador más potente, y la más reciente versión de Android, Android Oreo 8.0 en el equipo, lo hacen uno de mis candidatos favoritos a teléfono del año. En definitiva, estamos ante el mejor móvil de Huawei. El Huawei Mate 10 nos ha conquistado la vista con su acabado, y el tacto con sus materiales. Pero ha sido el apartado fotográfico lo que más hemos disfrutado. Aunque el efecto bokeh no siempre es correcto, con algo de maña hemos logrado tomar fotografías que bien podrían pasar por capturas hechas con cámara réflex. Todo ello con un ruido bastante reducido, y con todo lujo de detalles incluso en escenas con poca luminosidad. Huawei tiene muchas esperanzas puestas en estos modelos y personalmente me parecen dos de los smartphones más interesantes de este año sobre todo por la presencia de la inteligencia artificial de manera tan activa. The Mate 10 Pro was a defining handset for Huawei when it launched in 2017. Every bit as capable as its Samsung, LG and Apple competition, it marked the moment Huawei made it to the big time. And that's still the case, following a series of updates. Huawei delivers unrivaled battery life, AI-powered dual cameras and a robust feature set in one of the year's most ambitious smartphones. I have seen the Mate 10 Pro hover around the $700(or less) mark on Amazon lately as well if that helps. It’s a powerhouse of a smartphone and has most of the bells and whistles you need minus a couple of omissions. I think the $650-700 range is the sweet spot for the Mate 10 Pro. At $650 the Huawei Mate 10 Pro is more affordable than flagships like the Galaxy Note 8 and S9+ while coming close in some aspects of performance. Unfortunately, the pricing is awkward for the US unlocked market, wedged between more affordable midrange phones like the Motorola Moto X4 and G5 Plus, which can work with any US carrier, and Huawei's own Honor View 10, which has the same Kirin 970 processor and AI features for a lower price. There's also the rumored OnePlus 6 to consider, which could cost around the same as the Mate 10 Pro while offering the very latest hardware. Some of the Mate 10 Pro’s “headline” features still feel like gimmicks: the NPU is under-utilized, and frankly the phone would be better were EMUI left off altogether. However the core of it is admirably solid: the Kirin 970’s performance, the excellent cameras, and the long-lasting battery. More capable Android users will probably want to oust Huawei’s software tweaks for a different launcher, but everybody should be able to appreciate the combination of affordability, speed, and some great photography. The Huawei Mate 10 Pro has had a rough go since its launch. Initially, it was supposed to launch on AT&T which would have given Huawei its first shot at a carrier branded device. That deal fell through thanks to political fallout. Because of the AT&T issue, other retailers decided to step back and evaluate their own relationship with Huawei, prompting Best Buy to pull out of carrying their devices. Quirks aside, overall the Mate 10 Pro is very good all-around Android phone, and an excellent one for photography. It's also a tough sell at $799.99 without a major wireless carrier to break up the cost into a monthly payment plan. Regardless of everything else, that will probably be the deciding factor for most people. The sound quality can’t match the best, but this feature-packed flagship phone is otherwise more than satisfactory. While Huawei is offering a very intriguing hardware and camera experience with this device, the software is going to keep me far away. No phone with specs such as this should behave the way it has, and with such a heavy skin on top of Oreo, easily one of the best versions of Android yet, it feels like I’m missing out on something special with it being all covered and skinned to death. I’ve always been one to appreciate minor software tweaks here and there, but sometimes, EMUI 8.0 doesn’t even feel like Android, and when you’re a purist like me, it makes things frustrating. Another in the range of reviews of the latest mobile phones courtesy of Vodafone whose network coverage is -in my tests anyway - superior to that offered by other mobile phone companies. Huawei are the new kids on the block making others sit up and work harder to catch up. From the time we've been living with our mocha brown Huawei Mate 10 Pro, it's clear that Huawei has finally cracked this category. It's a flagship that the general public can seriously consider buying above and beyond its similar-priced competition. If only a carrier would provide it on plan in the US, eh? But it’s hard for me to see anyone taking advantage of that choice even if they had it and opted to spend $800 for the Mate 10 Pro instead of a phone from Google, Samsung, or even Apple. If Huawei really wants to play in the US, it not only has to work with carriers and make the US government happy, but it also has to make and sell a phone that people will want to buy here — and frankly, the Mate 10 Pro isn’t it. Overall, the Mate 10 Pro is a great phone that encompasses all that makes up a flagship in 2018. It has one of my favorite designs of the year, extraordinary cameras, and easily the best endurance of any phone I've ever tested. In a vacuum, it's an easy recommendation as Huawei's best phone to date, an AI-focused powerhouse. The Mate 10 Pro, in Huawei’s own words, is the best phone you’ve never heard of. The blend of performance, style, and photography chops is second to none. Sure, I wish it had a higher-res display, but the FHD+ panel has brightness and vibrancy in its arsenal. Even at its £699 MSRP, the Mate 10 Pro offers really good value as it excels across multiple areas. At its current price of £529 from Carphone Warehouse, this is only amplified – I’ve never seen such a proficient flagship offer such value as well. Huawei is onto a real winner. In the end, the Huawei Mate 10 Pro is a phone with which it's hard to find significant faults and easy to discover bits that you like, and you probably couldn't ask for a lot more in a phone than that. Not only is the Huawei Mate 10 Pro the most impressive device we’ve seen from Huawei to date, it’s also one of the most impressive flagships currently on the market, undercutting the competition while offering more in some key areas. From the week we've been living with our mocha brown Huawei Mate 10 Pro, it's clear that Huawei has finally cracked this category. It's a flagship that the general public can seriously consider buying above and beyond its similar-priced competition. We certainly won't be swapping it for a Pixel 2 XL, an iPhone X or - and you may find this surprising - even a Galaxy S8+. Huawei Mate 10 Pro Review – What Does the Extra $100 Get You? Being a bit more expensive than the Mate 10, the Pro variant offers a few additions and discards a few too. It still sports an amazing chipset, an amazing camera, and a modified EMUI 8.0. I’d only recommend the Mate 10 Pro over the base model if you prefer a better display in exchange for the lack of a dedicated audio jack. Still, with these changes, the Mate 10 Pro is still on our Top 5. So what do you think of the Mate 10 and Mate 10 Pro photos? Are you one of the proud owners and do you enjoy using A.I. photography? If you want to know more, head over to its official online store here, let us know in the comments below and stay tuned for more tech articles. 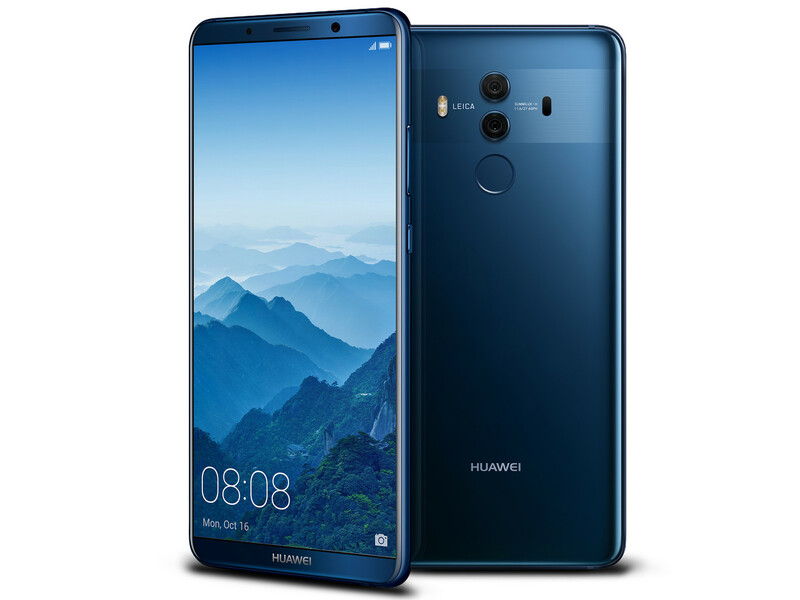 With the Mate 10 Pro, Huawei hasn't just delivered a product on par with those of the company's main rivals — it's also given us a top-line smartphone that sets a new standard for battery life among high-end phones, and AI-assisted cameras that come alive when inspiration strikes you. Huawei Mate 10 Pro is an excellent device in all possible aspects, with these great features and brilliant camera results it fulfills the price. This device has proved that it is the best device of 2017 as compared to its all other competitors, Go for it!! We see Google and Apple working to improve auto mode photography on the processing side, but Huawei looks to be leading the pack in tweaking camera settings to provide optimal capture experiences for the end user. I'll be able to give a more rounded view of things after spending more than a few days with it. It's Huawei's best phone yet. Huawei’s solution, while not perfect, is the best we have seen so far. It is easy to use, allows a lot of extra functionality while maintaining full use of the phone and allows all apps to be used on the desktop. I am not sure how often I would use this functionality but there are definitely times I have wanted this functionality while away from home. Now you can have it on the Huawei Mate 10. The Mate 10 Pro is Huawei's best phone yet, with a beautiful metal and glass design, a stunning OLED display, an IP67 build and great battery life. Is it the best Android smartphone out there? No, probably not. For now, that distinction still goes to the Samsung Galaxy Note8, but the gap between Samsung and Huawei has never been closer. There's much to love about the Huawei Mate 10 Pro. It has a clean design, high powered processor and one of the best smartphone cameras on the market at the moment. All of that doesn't come cheap though, with the 64 GB model costing a recommended R17 999. Das Huawei Mate 10 Pro ist ein höchst aussergewöhnliches Smartphone. Allerdings lohnt es sich, den Blick zwei oder gar dreimal über das vorhandene Hardwarematerial laufen zu lassen, denn es gibt Punkte, die den Namenszusatz Pro einfach nicht verdienen und in einem krassen Kontrast zum “kleinen” Brüderchen Mate 10 stehen. Aber rollen wir den Teppich von Vorne auf. Now it is time to round up this review. I think it is safe to say that what we have here is one of the best Android phones on the market. That statement does come with some provisos though. Huawei do need to fix the two major bugs that I have encountered and then this phone would be near perfect. They also need to do a bit more work on the EMUI Desktop interface as it is not quite up there with the offerings of Samsung in the form of DEX. I think it is fair to compare this against the likes of the Galaxy S8 and Note 8 in terms of the performance and usability, and if you are looking for a phone that is a tad cheaper than the Note 8 then this is a very good option. If however you feel that that the S-Pen is something that would be beneficial to you then it would be worth checking the Note 8 out. For me though, I don’t need the S-Pen and I love the dual camera setup on this phone so that is where my money would be going. If you’re on the market for a top-end phablet, but don’t want to spend the extortionate cost of a Galaxy Note 8 or iPhone X, the Mate 10 Pro is the best option available. The Mate 10 Pro is the best phone from Huawei yet and although the cameras aren't as good as the Pixel 2 XL's, it has a better screen, better battery life and just as much processing power. The Huawei Mate 10 Pro really shows just how much the company has grown over the years, and it is one heck of a smartphone. Yes, the phone lacks support for expandable storage, it has no headphone jack, and its 1080p display isn’t “cutting edge” in comparison to other flagship smartphones, but the Mate 10 Pro as a whole is an excellent premium-tier phone with commendable camera performance and battery life. The Huawei Mate 10 Pro has 6GB RAM + 128GB internal storage. Singapore is one of the first countries that will see the handset hit retail outlets and websites, but its local RRP and launch date are not out yet. Singapore will receive the Midnight Blue and Mocha Brown variants, which excludes Titanium Gray and Pink Gold models from our market. That's not as exciting and futuristic as NPUs and AI, but it's far more meaningful to most people who'll use this phone. So get the Mate 10 Pro if you want a beautiful phone with extra-long battery life and one of the best creative cameras — and if you can deal with software that's occasionally a little unconventional-looking. The Huawei Mate 10 Pro is an easy phone to love for many, many reasons. That battery life! That lovely OLED screen! That super-fast performance! That camera! The Mate 10 Pro itself is hardly an upgrade to die for over the preceding model. We guess we can easily understand any Mate 9 Pro owner who decides to stick to what they have for another year. Everyone else though looking for a contemporary flagship will not be disappointed. Not only does the Mate 10 Pro look the part, it can do the job no worse than most of its high-profile competitors. The Mate 10 Pro has a lot of things going for it. Huawei made sure that all aspects of the device has been properly taken cared of. They started with a really nice design, a gorgeous 18:9 OLED display, impressive performance with the Kirin 970, great camera and very long battery life. Of course, the water-resistance, fast charging, gigabit LTE and Android Oreo are all icing on the cake. The Huawei Mate 10 Pro is a defining handset; a flagship every bit as capable as its Samsung, HTC, LG and Apple competition. Which is a serious accomplishment for a company that has been yo-yoing between on-the-money and on-the-lam over the last couple of years. Huawei's flagship Mate 10 Pro is bursting with features. A great screen, very good battery life and widespread use of AI make it a pleasure to use, while IP67 protection is welcome. It's not without drawbacks though. Internal storage capacity of 128GB sounds like plenty, but I'd still appreciate a MicroSD slot. The slippery glass backplate reduces confidence in one-handed operation, and the lack of a dedicated headset jack will irritate some, even though Huawei provides a USB-C headset and an adapter. The Huawei Mate 10 Pro promises a lot and delivers in practically every instance. It’s an attractive and very capable performer with some powerful features for productivity and one potent imaging experience on top too. If you’re feeling rich, there’s the 256GB Porsche Design Huawei Mate 10 (gallery here) which is a re-skinned, ceramic variant of the Huawei Mate 10 Pro. This version will retail at €1,395 (S$2,225.21), and it’s coming to Singapore. However, the local pricing and availability date aren’t set in stone, so stay tuned. That’s pretty much it for our quick review of the Huawei Mate 10 Pro. It has been priced at €799 or somewhere around Php 48k. We should be receiving local pricing I the next couple of weeks along with its availability so stay tuned to the website for more about the Huawei Mate 10 Pro. Huawei has been pretty aggressive with its pricing in recent times, and it’ll be very, very interesting to see how much the company will price the Mate 10 Pro at. So far, we’re only told that it will be even more affordable than its predecessor, which was priced at RM3,399 at launch. With the right pricing strategy, I reckon the Mate 10 Pro can give other flagship smartphones a good run for their money. If you already have the Mate 9, this is certainly a worthwhile upgrade – but we’d say it’s worth waiting for more detail about how this phone performs in everyday life before rushing to buy it. Huawei’s big claims need to be put to the test. Having used the Huawei Mate 10 for a short while, I can comfortably see this being Huawei’s best phone to date. Whether it can push itself into the thoughts of consumers when the iPhone X, Google Pixel 2 XL and Samsung Galaxy S8 exist is another story. The Huawei Mate 10 Pro is a powerful phone that uses a dedicated AI processor to improve camera capabilities and day-to-day performance. Since Huawei hasn’t confirmed the price, it’s very difficult to make any value judgements about the Mate 10 Pro. Assuming that the rumoured pricing is about right, the Mate 10’s main rivals will be the Galaxy Note 8 and iPhone 8 Plus. While the Mate 10 is quite a boring upgrade, the Mate 10 Pro offers everything we expect from a top-end phablet. Some will be upset to lose the headphone jack and microSD slot, but the new design and gorgeous display may make up it. The Huawei Mate 10 Pro is a defining handset; a flagship every bit as capable as its Apple, Google and Samsung competition. Which is a serious accomplishment for a company that has been yo-yoing between on-the-money and on-the-lam over the last couple of years. People don’t buy phones based on potential, though. It’ll be battery life, camera image quality and price that will decide if the Mate 10 can outmuscle the Galaxy S8, LG V30, Pixel 2 XL and the rest. If you’re a fan of shiny glass, Huawei has an edge already. 83% Was kann das Flaggschiff mit der Leica-Linse? 89% Recensione Huawei Mate 10 Pro – Seguitemi, lì c’è il futuro. Huawei Mate 10 e Mate 10 Pro: i nuovi phablet con l'AI! 90% Huawei Mate 10 Pro [TEST]: Drømmer Android-mobiler om elektriske får? 87.56%: Esta es una buena evaluación arriba del promedio. Sin embrago, no se olvide que 10-15% de todos los modelos de portátiles obtienen una mejor evaluación.